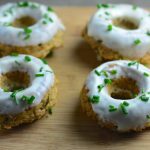 Serve these baked herbed savory donuts instead of rolls at your holiday table, your guests will be impressed and they will ask you May I Have That Recipe? Ok, I guess it’s my turn now…. Today I’m thankful for all the amazing people in my life that love me unconditionally and are always there for me. No matter how crazy or moody I get. It is such a comforting feeling to know you have a support system to back you up whenever you need it. To make you laugh, to give you advice or just to listen. I am particularly thankful for my wonderful husband and my children, who have supported me unconditionally during the journey of creating this blog. Especially by always volunteering to be the tasters for our recipes… the good ones and the not-so-good ones!! Thank you Raquel, I am thankful to have such a beautiful and wonderful daughter! I’m so thankful for food and the abundance that we are blessed with. 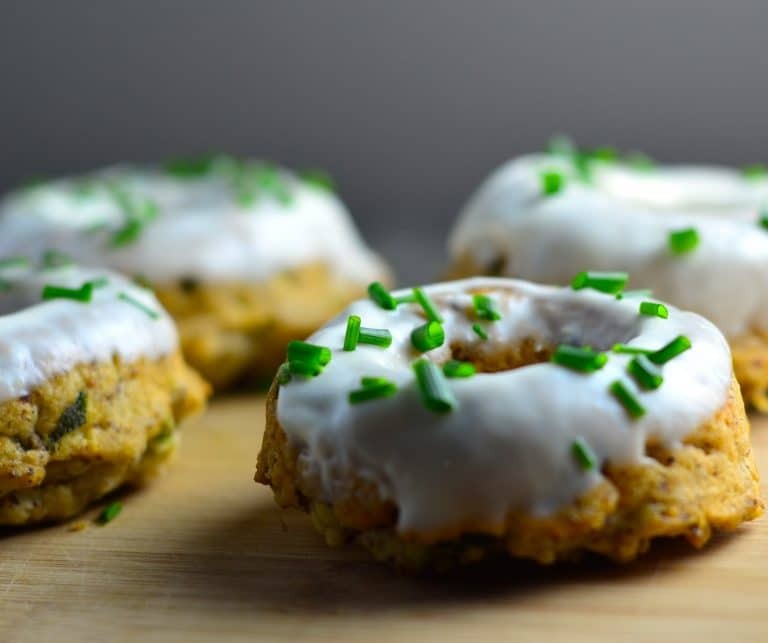 I am also thankful for the baked (vs. fried) versions of donuts;) I’ve never seena savory donut before but I can imagine these would make a fantastic bread side and that “glaze” looks delicious! Thank you Mary Frances, that was our goal to make a savory donut as a substitution for dinner rolls. What a great idea! I especially love the sprinkles! I vote for savory. You had me fooled for a minute. I couldn’t imagine this being savory and now that I read the ingredients, it makes sense and I bet it is better than all that sugary fried stuff. Thank you. We love making savory versions of dishes that are usually sweet. There are so many things I’m thankful for! And donuts are on the list 😉 Specially if they look as tasty as these! Thank you, we like “playing” with food! These look fantastic! 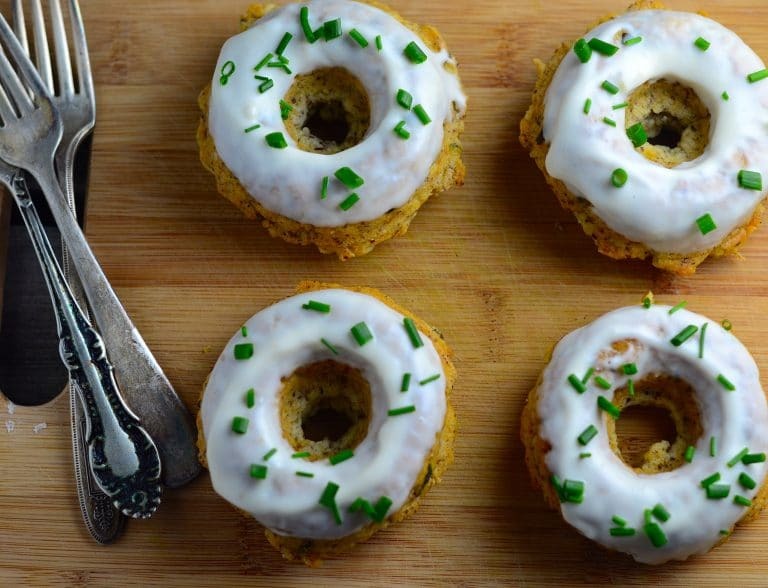 I love the idea of savory doughnuts. Lovely post! Thank you, they are a fun bread replacement. I am most thankful for my daughter and for baked goods such as these! I have been putting off getting a donut pan…but the more I visit yalls blog, the more I feel I NEED one stat! Thank you, you can easily find donuts pans these days. Enjoy your baking! 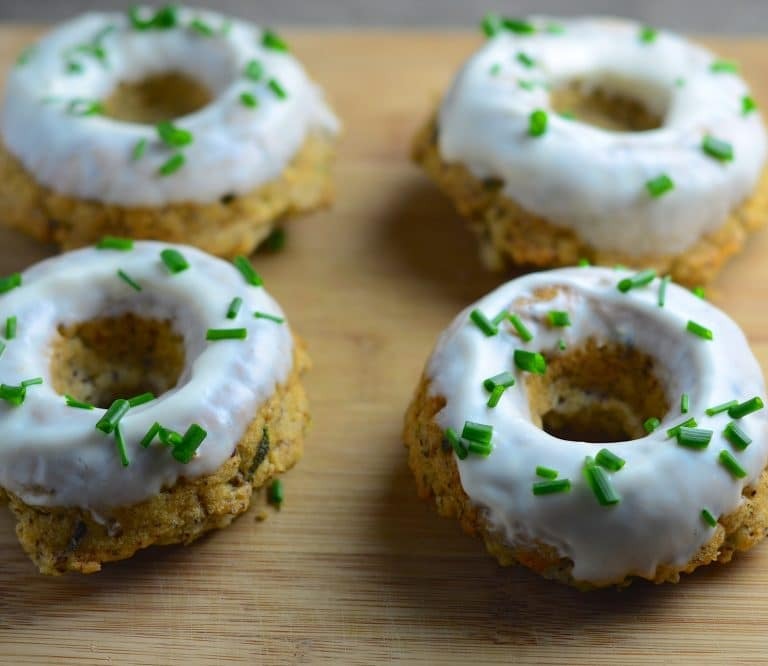 Love the idea of herbed donuts, lately I’ve been thinking about rosemary with sweets! Looks great! Such a good idea, we love herbs with sweets, it gives them a nice little twist. I am thankful, period, because my life is good and I feel so lucky to have such a good husband, kids, in-laws, grandkids, siblings, close cousins and friends. Thankful I live in a country that allows us such freedom and abundance. Thankful that you asked the question and made me think, once again, about my good fortune. And thankful for this interesting recipe. Sounds really wonderful Ronnie. I am thankful that I got the chance to meet you in person. Enjoy your family and the holidays. Love this savory donut option! Thank you Hindy, having fun and playing around with flavors!